- SCHNEIDER frequency inverter equipped for infinite speed variation ensures speed adjustment much more convenient and efficient, and makes the machine run stably and quietly. - Enlarged chromed heating roller is mounted with built-in oil heating system which provides balanced laminating temperature and owns excellent temperature persistence. 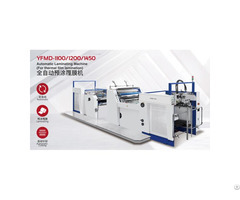 - SCHNEIDER PLC system realizes automatic paper separation, breakdown alert for self-protection etc. 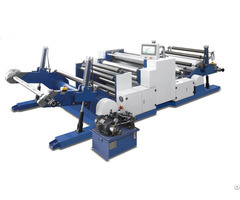 - Pneumatic film unwinding system positions film roll more accurately, and makes the loading and unloading of film roll and film unwinding tension much more convenient. 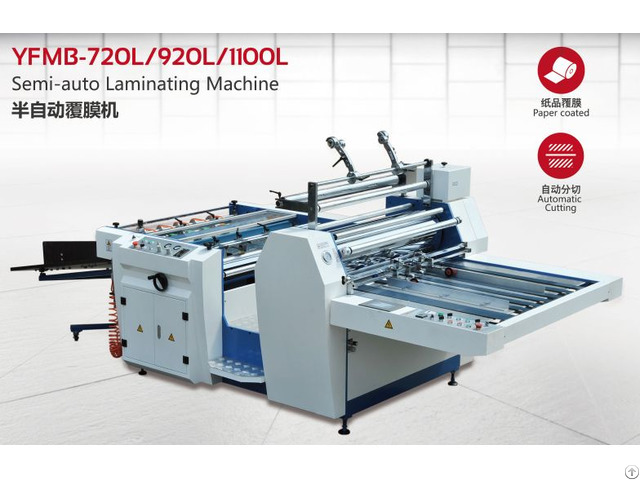 - Three separating systems are available for different specifications of sheets and film: 1) Flail cutting system 2) serrated perforating wheels 3) carborundum grinding wheel to laminated film. - Perfected tracking adjusting system makes traction adjustment more convenient and efficient. 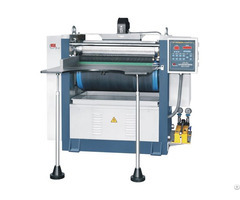 - Anti-curvature device and vibrating paper collector ensure paper collection more regular and convenient. - Slip structure with aisle which convenient to maintenance. - The vibration collecting table. - Optional device: electromagnetic heating system with surcharge.